Preventing secondary damage to your home or business when it has been damaged by fire water or storm damage should be a priority. Your immediate concern should be temporary protective measures such as placing roof tarps or boarding up windows. We pride ourselves on arriving on site quickly, usually within a few hours. 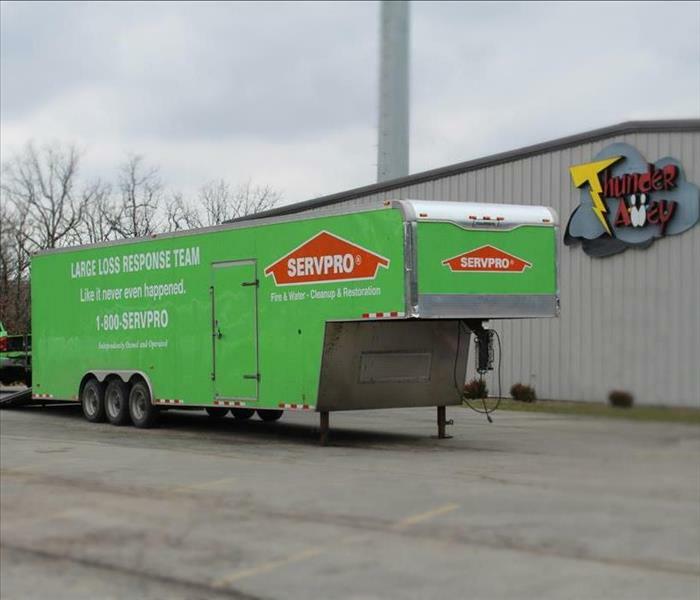 After protecting and securing the structure, professionals at SERVPRO of Franklin County can begin the restoration process. Your home or business may need reconstruction work to get your property back to its preloss condition. We can simplify the restoration process by handling both the initial damage mitigation and rebuilding the affected areas. Having one qualified company for the entire process can save time and keeps costs low. SERVPRO of Franklin County can provide this continuity by supervising a full range of restoration services that will bring a building back to full functionality.